For students, reading is imperative to academic growth. Unfortunately, it's one of the most frequent reasons for referral to a school psychologist. 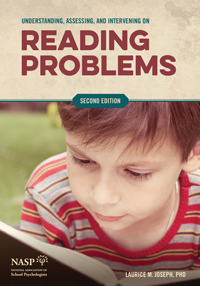 With Understanding, Assessing, and Intervening on Reading Problems, you can change that. Now in its second edition, this book makes it easy for you. Focus on actionable interventions and work one-on-one with struggling students. Help them love literature. Watch two on demand sessions about basic reading problems and reading comprehension and vocabulary problems with author Laurice Joseph.